External Affairs Minister Sushma Swaraj's meeting with her Japanese counterpart Fumio Kishida earlier this month, on the sidelines of the ASEAN Regional Forum conference at Naypyidaw, Mynamar, went particularly well. Kishida, who hails from Hiroshima, was said to have been deeply moved when Swaraj informed him that every year on August 6 - the anniversary of the nuclear bombing of his city - India's Parliament, too, mourns the victims. As it happened, one of the vital subjects discussed at the meeting was India's civil nuclear cooperation deal with Japan, in the making for four years. Negotiations had been suspended by Japan after the March 2011 Fukushima disaster, but were revived again late last year. Ministry officials say they are hopeful, given the positive note of the meeting, that the deal will be sealed and announced by the end of Prime Minister Narendra Modi's forthcoming visit to Japan in early September. A sticking point in the deal had been Japan's keenness to see India sign the Non-Proliferation and Fissile Material Cutoffs treaties first, despite the fact that the Nuclear Suppliers' Group (NSG) had granted India a waiver in this respect six years back. (All countries, barring the five big nuclear powers, are required to sign these treaties before they are allowed to trade in nuclear equipment, but the NSG made an exception in India's case.) But now ministry officials seem confident that the deal will be clinched anyway. The pact will allow Japanese companies, such as Japan Steel Works - a global leader in making components for nuclear reactors - to start supplying such equipment to India. India hopes US companies making similar equipment, such as GE and Westing-house, will also take a cue from their Japanese counterparts. "The deal will help companies do business with India more smoothly," says Robinder Sachdev, India affairs chief at the US-based advocacy group US-India Political Action Committee. "It will be win-win situation for Japan and India, along with the US." The Japan visit is part of a series of meetings Modi is holding with global leaders. Already in July, Modi had talks with Russian President Vladimir Putin on the sidelines of the BRICS summit in Brazil, during which he invited Putin to visit the Kudankulam nuclear plant in Tamil Nadu, built with Russian assistance. (The commissioning of the Kudankulam plant in June raised India's nuclear power generation capacity to 5,780 MW.) Australian Prime Minister Tony Abbott will be visiting New Delhi later in September, which may see issues relating to uranium supplies from Australia being ironed out. There is also Chinese President Xi Jinping's visit and at the month-end, Modi is off to Washington to meet US President Barack Obama. In November, Modi in turn will travel to Australia for the G-20 summit in Brisbane. Alstom and Areva are in talks with the Maharashtra government to set up a 9,600 MW nuclear plant in Jaitapur. Diplomatic efforts to bolster nuclear energy are being made diligently, but there is an obstacle in India's regulatory law which has dampened global investor spirit. 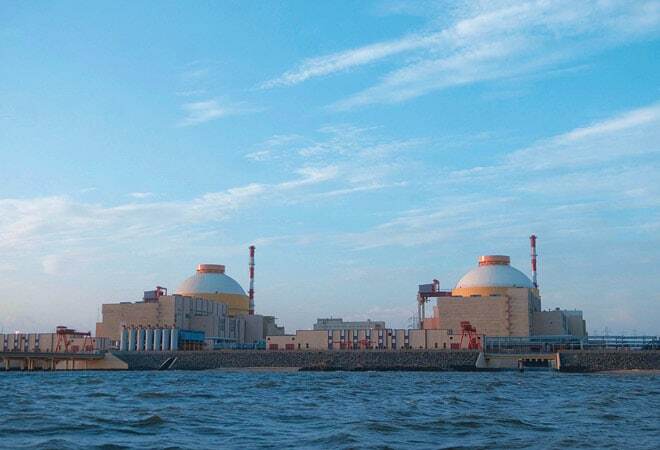 The Civil Liability for Nuclear Damage Act sets the maximum compensation that can be sought from the operator in case of a nuclear accident at Rs 500 crore ($83 million). Operators are required to take sufficient insurance to cover this possibility, which they maintain makes their premium costs unaffordable. If the cost is passed on, the power generated may be so expensive, compared to that from conventional coal-based thermal plants, as to render the nuclear plant unviable. India's installed nuclear capacity is 5,780 MW. "We have apprised the government of our concern," says Rathin Basu, Chairman, Alstom India. "This affects not only foreign investors, but also Indian players." Alstom, along with Areva, both French companies, is in talks with the Maharashtra government to set up a 9,600 MW nuclear plant in Jaitpur. Ministry officials reveal that three US Secretaries, Russian Deputy Prime Minister Dmitry Rogozin, and French Foreign Minister Laurent Fabius, all of whom visited India in recent months, also complained about the damages clause being unrealistic. However, given Indian memories of the 1984 Bhopal gas tragedy in which 20,000 people were killed, the chances of Parliament approving any dilution of the existing law are slim. Lengthy, heated debates preceded its passing in 2010. "The easiest solution would be to amend the law but that is not likely in the current scenario," says Basu. There is speculation in official circles that rules may be framed to circumvent some of the liability clauses, more so after US State Department's Assistant Secretary Nisha Biswal statement during a Congressional testimony which said India might make things easier "either through a legal framework or through other frameworks that can help create more surety, so that it is not unlimited liability as the companies are rightly concerned". "We just hope things start moving in the right direction," says Basu.